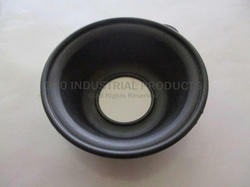 We have gained expertise in offering a supreme quality range of Industrial Diaphragms to the esteemed customers. Our product range is designed in compliance with the international quality standards, with the assistance of our team of skilled experts. 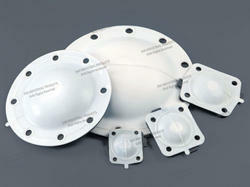 Moreover, we offer standard as well as customized diaphragms to the clients, as per their specific requirements. Our product range comprises Silicone Diaphragms, NBR Diaphragms & Rubber Diaphragms. 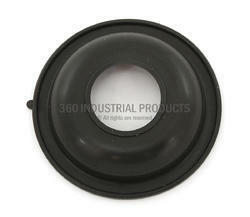 We are a trusted organization engaged in manufacturing and supplying a fine array of Rubber Diaphragms. 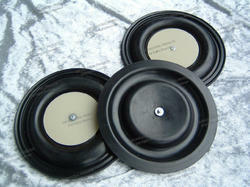 Offered Rubber Diaphragms are used in surgical field. To ensure that our offered Rubber Diaphragms are able to stand tall on the expectations of patrons, we manufacture these by utilizing high class raw material while keeping in mind the globally laid quality norms. 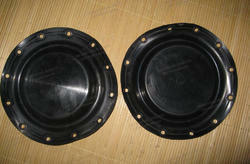 We interact with patrons, ask for their requirement and manufacture the offered Rubber Diaphragms accordingly. We are a leading organization engaged in manufacturing and supplying an optimum quality array of NBR Diaphragms. Offered diaphragms are manufactured by making use of quality approved that is procured from the most honorable vendors of the industry in line with international quality norms. After the production process, we make the offered diaphragms pass a quality test to ensure their flawlessness. 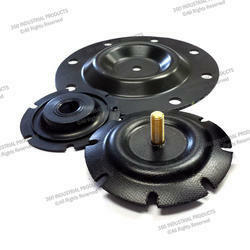 Offered diaphragms are available in various sizes, different shapes in natural, neoprene, EPDM, silicon and NBR rubber. 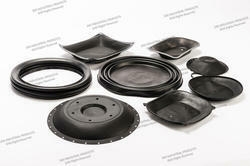 Moreover, we provide PTFE laminated rubber diaphragms for valve and pump. Abiding by client focused approaches, we are able to manufacture and supply high grade Silicone Diaphragms. Offered diaphragms are available upto 1200 mm size and different shapes in natural, neoprene, EPDM, silicon and viton rubber. 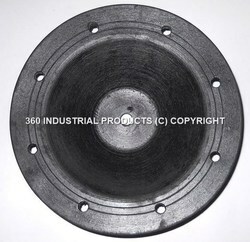 We also provide the offered diaphragms as per the specifications given by patrons to ensure their maximum specifications. Moreover, we provide PTFE laminated rubber diaphragms for valve and pump.